The bridge is a family restaurant that has cared for and pampered customers since its inception in 1992, offering exquisite service and a fresh and quality products. The backbone of our business is based on the human quality that embraces you find that once you cross the threshold of your door. It was the first hotel to open in Las Hurd. Its name takes the bridge that was built in 1911, to save the river Los Angeles, depending on the time of year you visit this place, will offer beautiful and thunderous sounds, either by its current and high strong floods in time rainy, as a haven of tranquility in which a coffee or a quiet drink on the terrace of the Hotel. Simple, but very cozy place, influenced by the character of their owners, with Rafa's Restaurant as Ivan and Natalia owner (heads or dining room), and his wife Piedad attentive to the kitchen, who with their kindness and good reception make you feel like home. 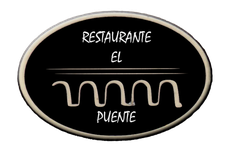 At your table you can enjoy rich and varied meats, traditional Extremadura and rich desserts, not forgetting to water them with good wines, whether on Earth or in surrounding, as have a varied wine list with which you can enjoy a wonderful evening.